A great play about relationships, love, death, loss and bereavement. You'll be sucked in from the start! Sam and Mark meet again one year after they broke up. It is supposed to be a romantic night, but ghosts from the past start hunting the couple again and the hard truth emerges minute after minute. Will some wine be able to cancel the real reason why Mark and Sam broke up and to give them a second chance? I felt dragged into this play from the beginning. Maybe because the two actors and Harriet Clarke give very authentic performances, maybe because the questions raised about love, relationship, death, loss and bereavement are universal and they turned the play from comedy into an intense drama that will give you much to think about, after the show. I won’t say much else because I don’t want to spoil, but hey: I don’t drink wine, at all. 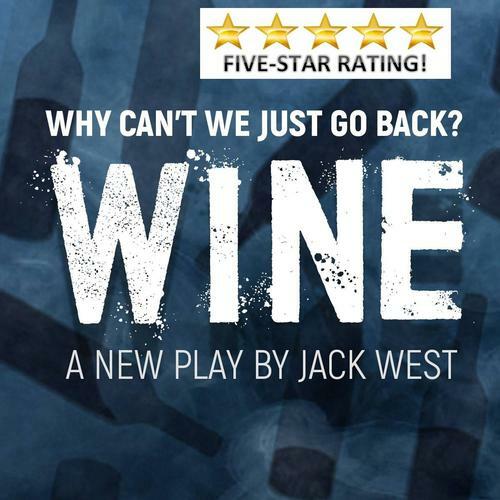 And if I am giving 5 stars to a play called “Wine”, it means that is really good.